Convened by the Birkbeck Material Texts Network and the Archive Futures Research Network. Library copies of soft-focus S/M blockbuster Fifty Shades of Grey were recently found to carry traces of cocaine and the herpes virus; a reminder, if one were needed, that our relationship with the page involves more than just the eye. Current scholarly emphasis on the material text has revealed that uses of reading matter extend well beyond reading itself, promising to bring to light other kinds of tactile, intimate and sometimes strange connections between bodies and books. Perversions of Paper comprises two events: an invitational workshop on 20 June 2014 and a one-day symposium on 28 June 2014. 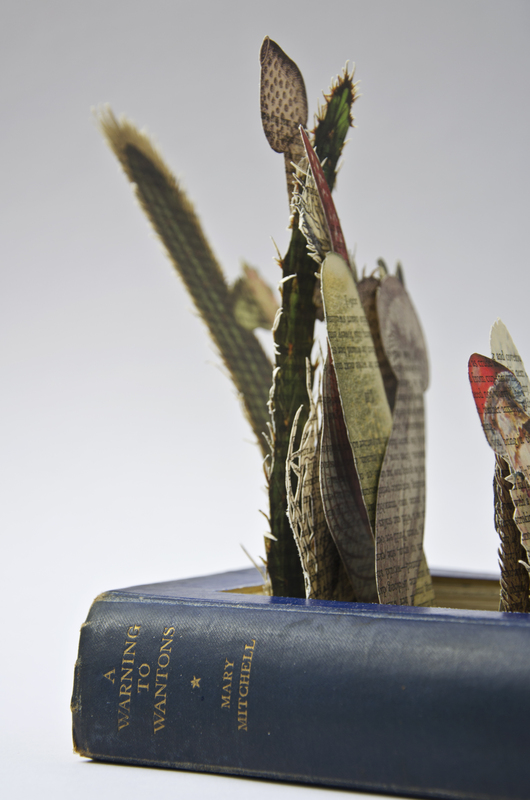 Together these investigate the outer limits of our interactions with books and with paper. Both consider – in different ways – unorthodox engagements with texts, from cherishing or hoarding them to mutilating and desecrating them, from wearing them to chewing them, and from inhaling their scent to erasing their content. ‘Perversion’ may apply to deviations from normal usage but also to our psychological investments in paper. To talk of having a fetish for books is common, but is there more to this than merely well-worn cliché? What part do books and other written artefacts play in our imaginary and psychic lives, and what complex emotional attachments do we develop towards them? Also, how might literary studies or cultural history register these impulses and acts; what kind of methodologies are appropriate? These two events invite reflections on perverse uses of – and relationships with – paper and parchment. Contributors have been invited to consider bookish and papery aberrations from any number of angles, including but not limited to: the defacing or mutilation of writing; the book as sculpture or art medium; ‘upcycling’ or repurposing; the book or manuscript as a fetish object; pathologies or obsessions related to paper; psychologies of book collecting; bibliophilia and bibliophobia; book crazes, the tactility or sensuality of paper and manuscripts; books, libraries and archives as sources of contagion, or as the focus of terror or abjection. Detail of artwork by Linda Toigo.